Within the scope of our activity, we perform repairs of mechanized roof supports as well as their subassemblies. The company implements works based on the evaluation to perform repairs, issued by JOAiCW TEST Sp. z o.o. in Siemianowice Śląskie. Our company has authorisation for carrying out welding works in scope of production, assembly and overhauls of steel construction class 1, 2, 3, according to PN-M- 69008 standard and steel constructions for building industry with the consideration of the requirements set by PN-B-06200 standard. 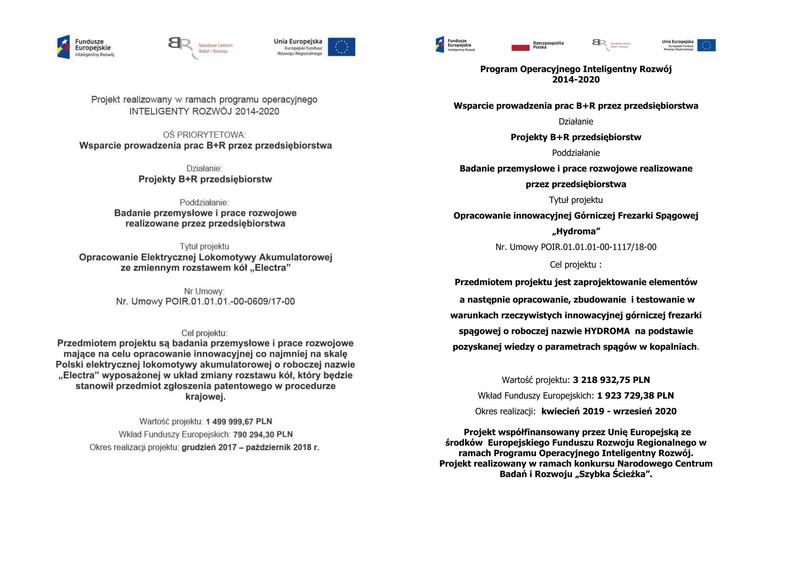 Such authorisation has been issued by the Polish Welding Excellence Centre in Gliwice together with the qualification of our company to group I of Large Plants. Technological capabilities of the company in scope of production of the above structures are at the level of 250 t/month. We own a shot peening chamber of dimensions 12 x 4 x 3 m with pneumatic recirculation and separation of abrasive material, where both single elements and the whole construction can be cleaned. The system is electronically controlled and equipped with necessary locks, and the air from the chamber is cleaned in order to prevent the release of dustiness to the atmosphere. Urządzenia i Konstrukcje S.A. since the beginning of its activity has been designing, producing and repairing power hydraulics elements used in mining and other industries. We have technical resources to manufacture hydraulic actuators of diameters up to 400 mm.